atoms, blow in a nearly spherical fashion. Washington: NASA's Nuclear Spectroscopic Telescope Array (NuSTAR) and ESA’s (European Space Agency) XMM-Newton telescope are showing that fierce winds from a supermassive black hole blow outward in all directions -- a phenomenon that had been suspected, but difficult to prove until now. "We know black holes in the centers of galaxies can feed on matter, and this process can produce winds. This is thought to regulate the growth of the galaxies," said Fiona Harrison of the California Institute of Technology (Caltech) in Pasadena, California. Harrison is the principal investigator of NuSTAR and a co-author on a new paper about these results appearing in the journal Science. "Knowing the speed, shape and size of the winds, we can now figure out how powerful they are." 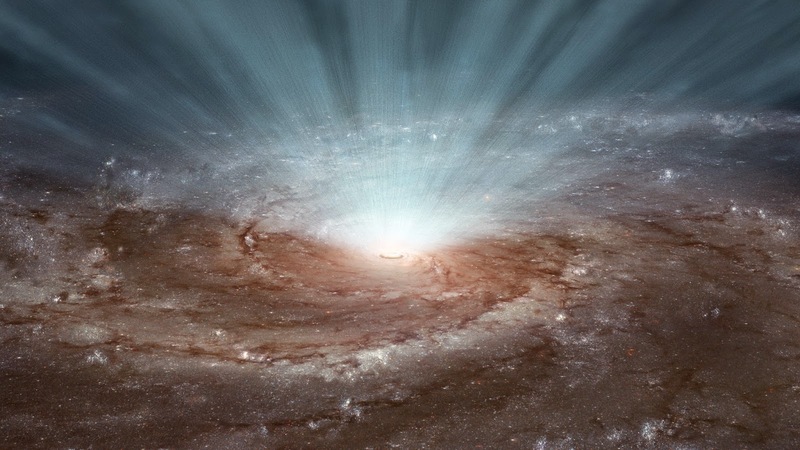 "Now we know quasar winds significantly contribute to mass loss in a galaxy, driving out its supply of gas, which is fuel for star formation," said the study’s lead author Emanuele Nardini of Keele University in England. Astronomers think supermassive black holes and their home galaxies evolve together and regulate each other's growth. Evidence for this comes in part from observations of the central bulges of galaxies -- the more massive the central bulge, the larger the supermassive black hole. "For an astronomer, studying PDS 456 is like a paleontologist being given a living dinosaur to study," said study co-author Daniel Stern of NASA's Jet Propulsion Laboratory (JPL) in Pasadena. "We are able to investigate the physics of these important systems with a level of detail not possible for those found at more typical distances, during the 'Age of Quasars.'"